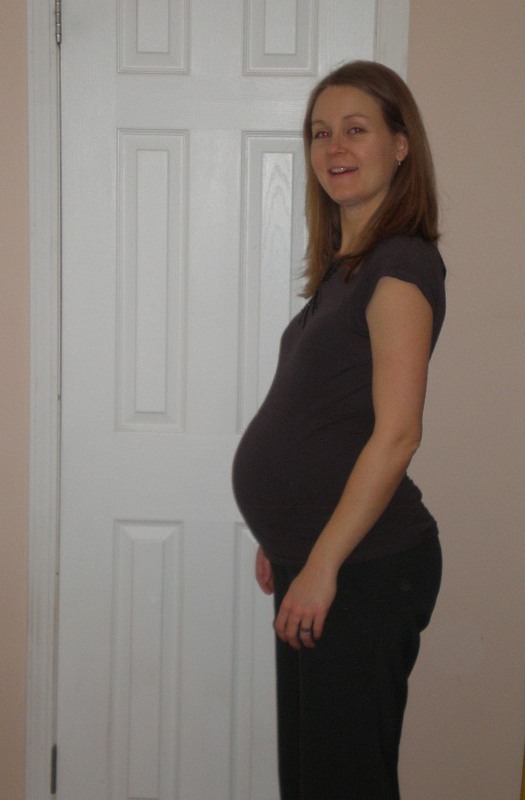 This week I am 32 weeks along. Only 8 more weeks to go. The time sure is flying by! And most importantly, HOLDING MY BABY!!!! I was with you on the shirts that tie behind your back. I never wanted to see one of those ever again!! The one thing I remember always wanting was to be able to wear my jeans again! Or anything without elastic!